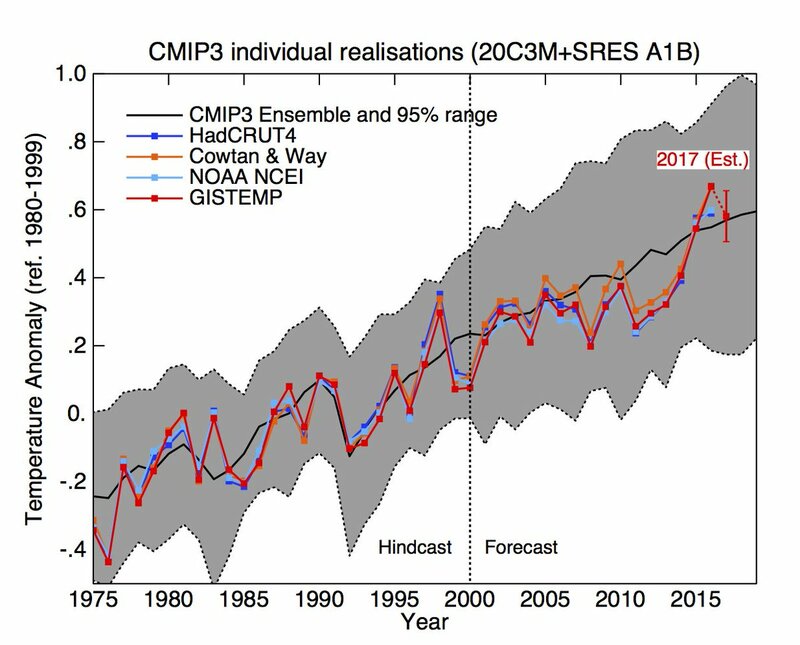 According to preliminary reports from NASA, 2017 was the warmest non-El Nino year in the modern record. Overall, 2017 was the second-warmest year in the modern record. 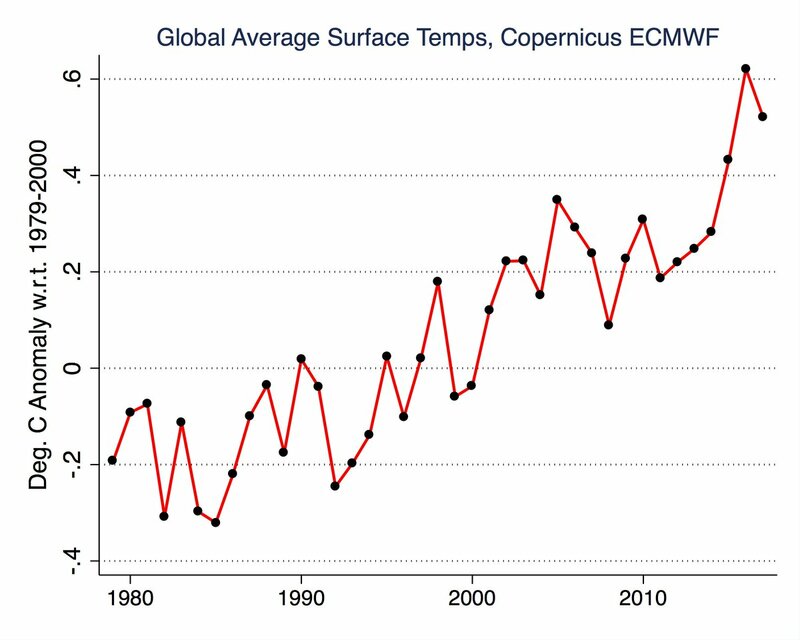 The decadal temperatures also show how much the Earth is warming. That's from "The Global Climate 2001-2010, a decade of climate extremes" from the WMO. 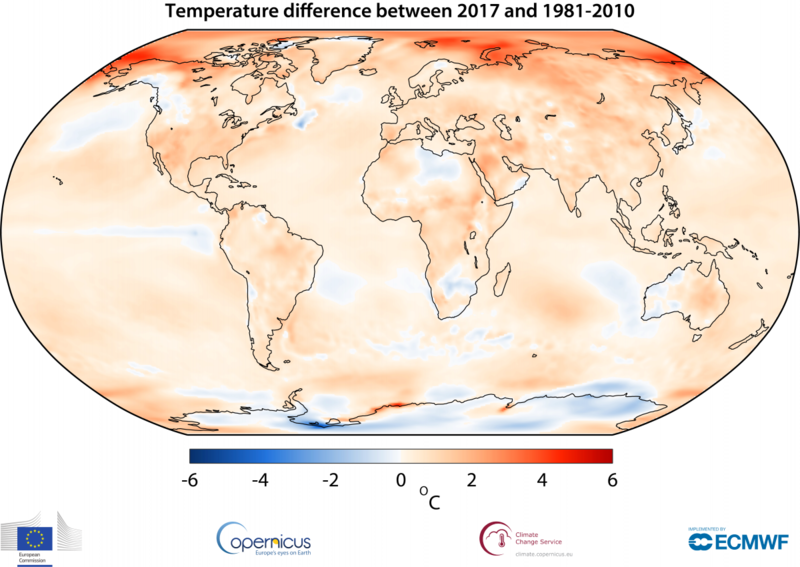 The World Meteorological Organisation presents average global temperatures per decade, calculated from all the major datasets.